Twenty-four vultures roosted on my roof the afternoon we arrived after closing on the property. Folk lore says that a stork on your chimney is good luck. What’s the significance of vultures? I didn’t want to know and hoped our new cabin could withstand the bad karma. We shouted and waved our arms at the ugly creatures. In their own good time, they took to the sky, spiraling up a thousand feet to circle the lake searching for carrion, cleaning up the lakeshore. The next morning I took my cup of tea to sit in the shade on the deck overlooking the water. Purple martins darted, cedar wax wings snatched insects from the air, and a hair ball rolled down the roof onto the patio table. Others littered the deck. A dozen vultures perched on the ridge of the roof looked down their beaks at me. Nauseous from the odor, I held my nose and threatened them with a beach towel until they took the hint. They flew off for the day to do their business elsewhere. 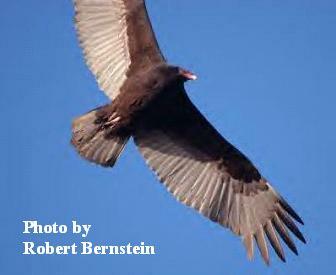 For an entire summer I awoke to the flup-flup of vulture wings outside my bedroom window. Their shadows blocked the sun. 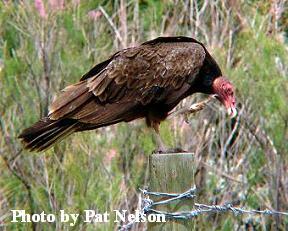 I considered a sling shot and made covert inquiries about a shotgun, but turkey vultures are protected in Illinois. Every creature has its job to do in nature, I guess. So, we adapted and installed metal spikes on the chimney and along the ridge lines of the house. The vultures found it painful to roost and took up residence elsewhere. My neighbors thanked us for that. Vultures clean up road kill. Just as we adapted to the vultures and they to the new situation, I’ve decided I must adapt to a new way of approaching my writing goals. My first novel, Rim To Rim, hasn’t been accepted by a publisher yet, but I’ve already completed my second mystery, Wolf Pack––Murder on Isle Royale. I must do something different, so I’ve studied new formats and have written my first short story which I will enter in some contest. I’ve also accepted a freelance assignment with a local news magazine. I’m building my resume and hope that a publisher will take a chance on me. This morning I kayaked around the lake stopping at the beach where thirty-five vultures roosted on the picnic pavilion. They bore me no grudge. They’re apparently successful in their new location, and I wished them well. ‹ PreviousHow Well Do you REALLY Know Everyday Words?